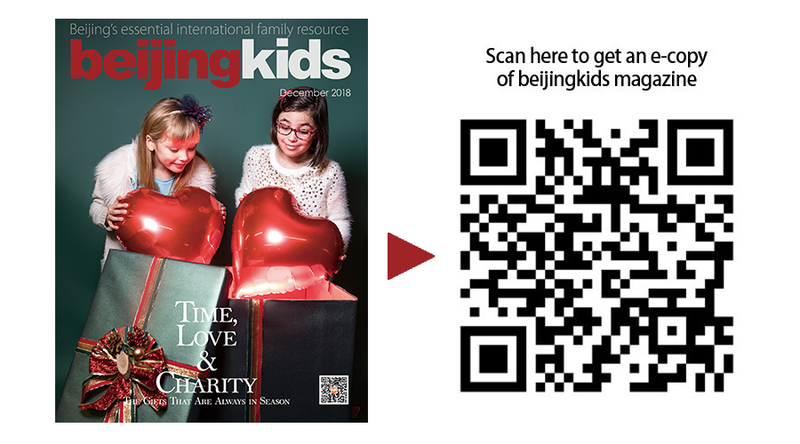 I am raising two kids here in Beijing as the only foreigner in the family dynamic. That means I represent the “foreign language” (English) and all of the “foreign ways.” Over the years, we have found a harmonious balance between Eastern and Western traditions, and now that their dad and I have split, my Chinese in-laws and I do a pretty great job of taking great care of Echo (7) and Paz (5). I’m eternally grateful to them. I have noticed, however, a difference in etiquette standards, particularly verbally. My kids bark to their grandparents to get them water or to make certain foods and their doting Yeye and Nainai bounce up to their every whim. In Chinese culture, they argue, there is no need for niceties; i.e. such words as “please” or “may I” or “excuse me” contradict the natural intimacy that exists between family members. It creates awkwardness. I’m not so sure I buy this. Surely acknowledging what people do for us (“thank you”) extends across cultures. And since I can’t fully drop my Canadian tendencies, I thank my in-laws when I feel genuinely grateful and it seems to please them—no awkwardness. Nevertheless, when this carries over into English with the kids, it doesn’t work. Kids barking orders at their mother? No “please”? No “thank you”? Uh-uh. It’s not the way I was raised; these two children are learning that when switching a language, you also have to switch a set of cultural norms. “Oh, honey,” I said. “Thank you for thanking Mommy! That really warms my heart!” With this, I put one hand on my chest and gave her a loving smile. She looked at me for a moment, frozen. Then she stood up, walked over and placed her hand on my chest too. I watched this scene silently, completely amused and immeasurably moved. And, remembering this moment made me smile for days. A couple of weeks later, we were outside walking and witnessed a child picking something up for an elderly man. I used the expression again (“heartwarming”) and my daughter immediately looked up at me, excited. I stopped walking and turned to her. “You can close your eyes and feel what ‘heartwarming’ means in your own heart, honey, without your hands.” She didn’t quite get this. I went on to explain. “When we do nice things for people, say nice things, or just act politely and kindly, it makes people feel good…right here!” I poked her in the chest and then kissed the top of her head. She nodded, “Yeah, me too!” And she pointed to her heart. It had made sense to her. That night, with a giant, dramatic “xie xie, nai nai!” my daughter spontaneously thanked my mother-in-law for dinner. Her grandmother beamed and praised her for being so grown up.